Our small but incredibly busy web development and hosting business is looking for someone to join our new Plymouth team in a junior capacity to assist with all our day to day technical activities. This varied role will rely heavily on your existing technical skills as well as your ability to learn quickly. You’ll need to bring value to the business from week one and be ambitious like us. We will want to grow your skills quickly and you’ll need to be flexible and quick of mind. You’ll sometimes talk to clients on the phone and occasionally attend meetings, so you’ll need to scrub up OK and be comfortable talking to people. Another year over and it’s been a busy one here. As well as developing over 30 new websites, we’ve provided daily WordPress maintenance and support for many more. 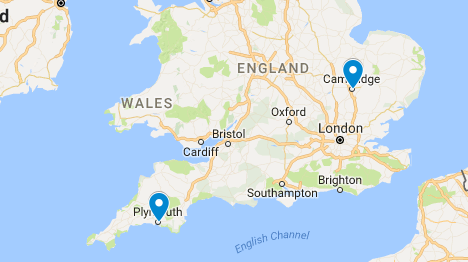 We’ve launched our Corporate WordPress training courses with WPTrain, moved into our new Cambridge office and opened our second base in the West Country to serve our Devon based clients. We’re taking a well needed break over the Christmas period this year. We’re closing the doors on Thursday 21st December at 2pm and will be reopening on Wednesday 3rd January at 9:30am. If you have a WordPress maintenance contract, don’t worry, maintenance will continue as normal. We will also be providing support to clients with a WordPress support contract or hosting account. Don’t forget you can also manage your own web hosting, email accounts, invoices and more by logging into your Watch the Dot account here. You can also check the server status of our standard shared hosting at any time on our Hosting Status page. We would like to wish you all a peaceful Christmas break and a happy and fruitful 2018! We sell domain names but they aren’t a part of our core business and we don’t make any meaningful money from them, we provide them as a courtesy to our clients as many of them prefer to have their web services all managed by someone they trust. We are essentially domain provider agnostic. Occasionally people will ask us to transfer their existing domains to us and often they need a bit of help doing this which is fine. We’re doing that today for a client who is using names.co.uk. Not only are they nearly twice as expensive as pretty much everybody else (£13.99 for a .uk. 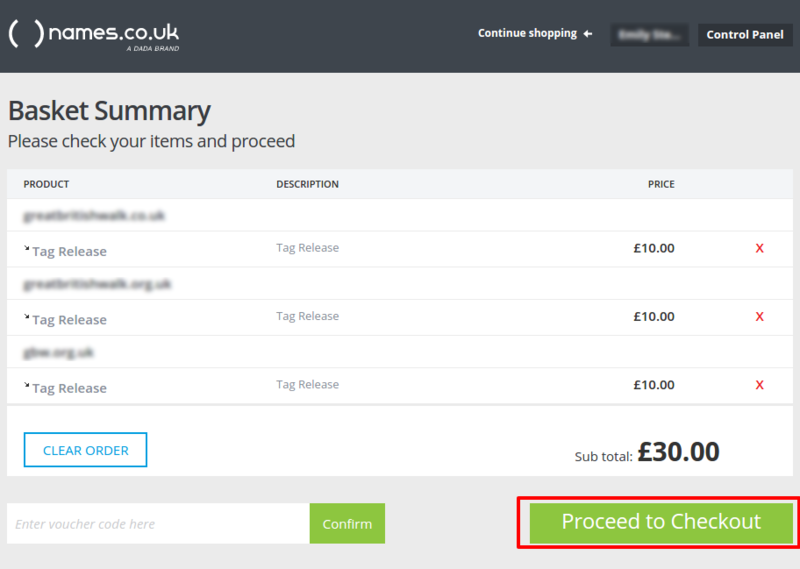 compared to our £8.99, and we don’t claim to be the cheapest), they also charge £10 + VAT if you wish to change your IPS tag. 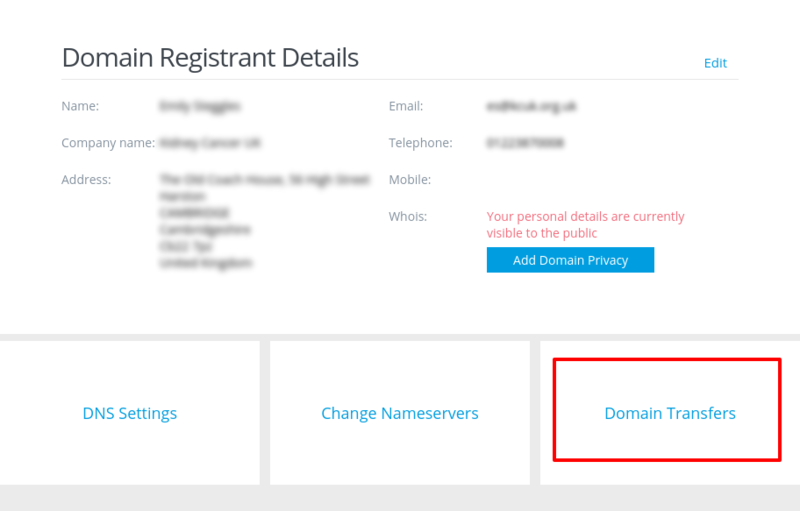 Changing the IPS tag is the first step in transferring your.uk domain to another registrar, and everybody else* [*that we know of] provides that service free of charge. This should be a simple automated process you can manage yourself. 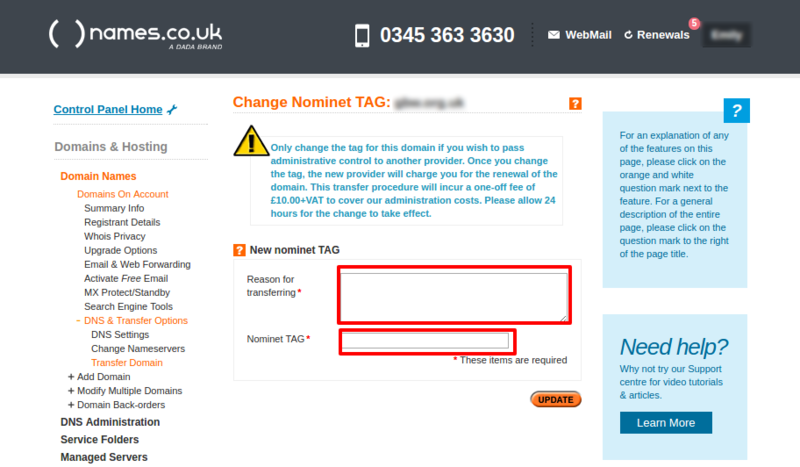 In the case of Namesco, although you still have to do the same work – finding out the tag, entering it into a box and clicking go – they then apparently have to manually change the tag themselves and you then have to pay them £12 for the service. Plus they claim it can take 2 days (it’s usually virtually instant). Namesco are one of the biggest domain registrars in the UK and frankly there’s no excuse for these rip-off charges or substandard service. If you do decide to transfer away, here’s how you change your IPS tag that you new registrar will provide. 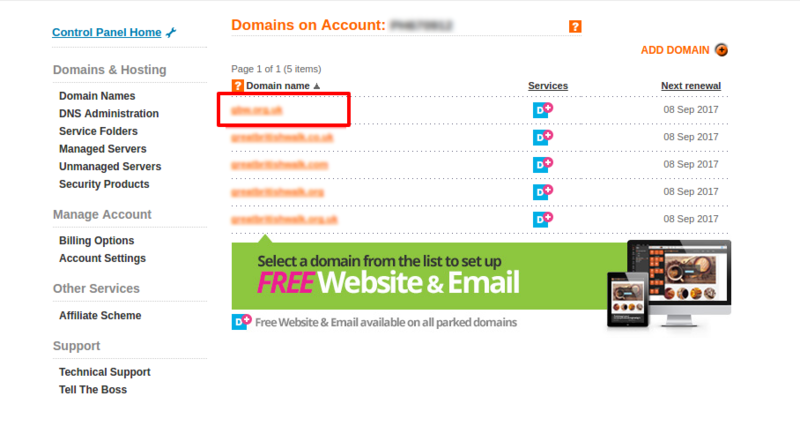 See where it says “You can also transfer your domains to us”? You don’t want to do that. Your new registrar will provide you with a Tag. You can’t transfer your domain without changing this. Namesco also insist you justify yourself. They will not let you complete the form until you’ve told them why you are going. Yes, that £10 + VAT is really annoying. But grit your teeth and Proceed to Checkout. Once you have had a confirmation that your tag has changed, you can now start the transfer to another registrar. If you need assistance moving your domain names, feel free to contact our support team who will be happy to help.